Sennheiser MM50 review | What Hi-Fi? 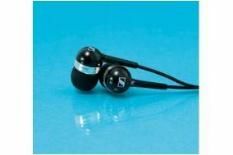 Modelled on the popular CX 300 range, the Sennheiser MM 50s are an excellent performance-per-pound proposition. The musical delivery is fast, direct and brilliantly balanced. There's deep, well-defined bass, decent treble control for the money, and clear vocals. The mic and one-button control are contained in a unit that dangles just below the chin, and call quality is brilliant, especially given the price. If your phone isn't the 3.5mm-type, there are other manufacturer-specific versions, as well as one with a 2.5mm jack.